Lisa Hills has over twenty-five years of experience as an organizational strategist and expert in talent management. Working with clients who encompass both the private and not-for-profit sectors, Lisa focuses on issues including: leading successful organizational change; developing team talent; creating high-performing teams; designing strategies for individual and team success. Lisa has long-term relationships with clients, partnering with them through the implementation of practical, high-impact solutions as well as guiding them through management and leadership challenges. She provides executive coaching and will work with clients to navigate performance issues, hone communication skills, and enhance management/leadership effectiveness. Lisa also helps clients through the recruiting, on-boarding and developing of emerging talent. Lisa frequently collaborates with other strategic partners such as Talent Analytics, (providing predictive analytics for individuals and teams), Create-a-Cook, (Turn Up the Heat, high-intensity team building challenge) as well as with other management consultants. Most recently, Lisa has joined forces with Nanette Fridman, Fridman Strategies. Together, Lisa and Nanette bring fresh strategies and new approaches to values-driven organizations. 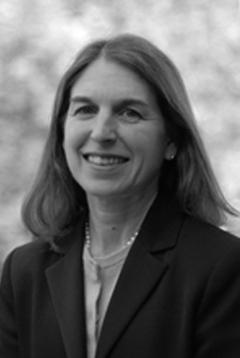 Prior to launching Hirsch/Hills, Lisa served as the Assistant Dean of Student Affairs at Brandeis University where she was involved in policy making and strategic planning for the institution and served as the Director of the Hiatt Career Development Center. While at Brandeis, Lisa served as the University’s representative to the Waltham and Greater Boston communities. She was a founding member of the Bridging Education and Technology (BEAT) program, a partnership between the City of Waltham, Brandeis University and local technology corporations. Lisa holds a masters in public administration with a specialization in management strategy and corporate public policy from the School of International and Public Affairs at Columbia University and a Bachelor of Arts in Politics from Brandeis University. She has held numerous leadership positions throughout the Greater Boston Jewish community including serving as President of Temple Emanuel of Newton (the largest Conservative synagogue in New England) where she remains deeply involved with the synagogue’s vibrant community. Lisa has chaired numerous searches for executive director and clergy positions throughout the Jewish community and has been instrumental in the on-boarding of Jewish professionals in new leadership roles. She is currently chairing Yavneh’s Strategic Planning Process, is launching the Temple Emanuel’s Legacy Program and is a Co-Chair of Temple Emanuel’s AIPAC Steering Committee. She has served on multiple strategic planning committees for Combined Jewish Philanthropies, has served as Chair of the Prozdor Advisory Board and was a Co-Founder of Jewish Vocational Services Women’s Mentoring Network. Lisa is a contributing author to Roads Taken, was the executive producer for Good Job and was involved with the production of The Recruiting Game. Lisa resides in Newton, Massachusetts with her husband, Matthew, and their four children, Jessica, Meredith, Benjamin and Amanda.